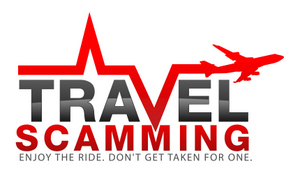 Many people who live in the USA dream of getting away to foreign and exotic countries. While I recommend traveling internationally to experience a different culture and to get a different view on things, there are plenty of incredible places to visit in the USA that are great for a getaway or vacation. 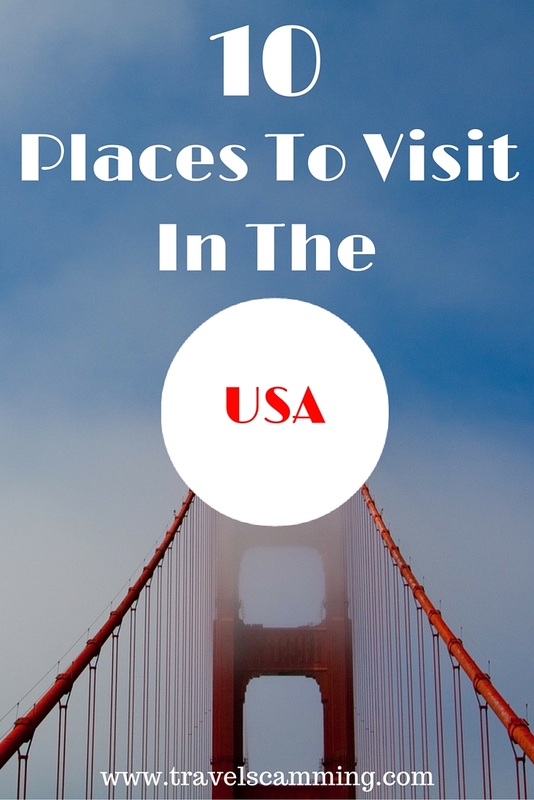 Here are my recommendations for the best places to visit in the USA. Even National Geographic proclaimed Cannon Beach to be one of the world’s 100 most beautiful places. 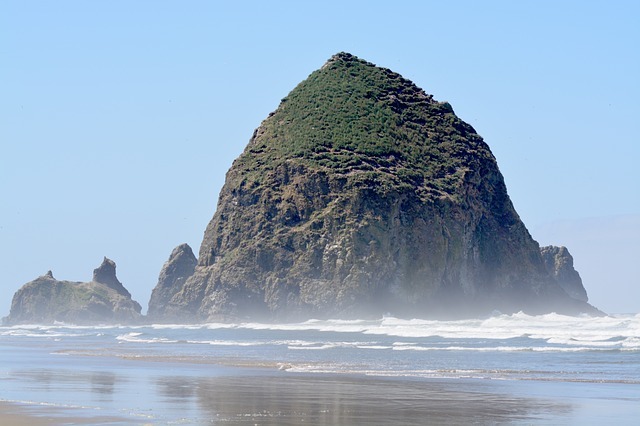 Haystack Rock makes Cannon Beach something special, and while the water’s too cold to swim in, the sandy beach is perfect for walking and beach combing on. Make sure to see the view from above at Ecola State Park, and walk around the town of Cannon Beach to see the cute shops and art galleries. San Francisco is not just one of my favorite places to visit in the USA, but it’s one of my favorite places in the entire world. 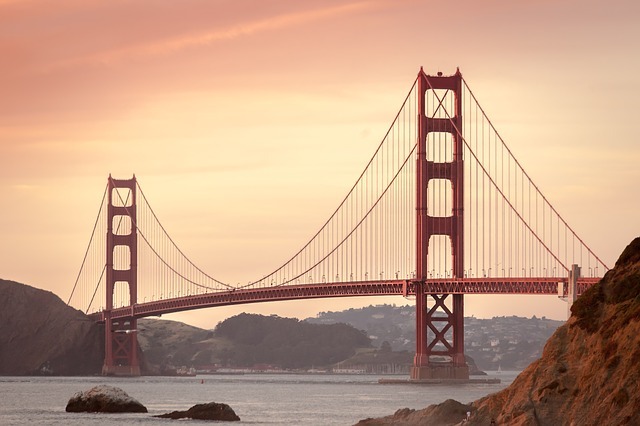 It is full of things to do like walking across the Golden Gate bridge, visiting Alcatraz, seeing the views from Coit Tower, riding the cable cars, seeing the art at the museums, and exploring Fisherman’s Wharf. My favorite thing about the city is the food. I enjoy going to the farmer’s market at the Ferry Building on Saturday’s and my favorite breakfast in the world is the one at Dottie’s True Blue Cafe. There really is nothing like it. The Grand Canyon gets all the attention in Arizona, but Antelope Canyon is also incredibly stunning. The best time to visit is Spring, Summer, and early Autumn when there is light in the Canyon. The sculpted sandstone leaves you with a feeling like you are looking at something from another world. This is one of the world’s greatest natural wonders. 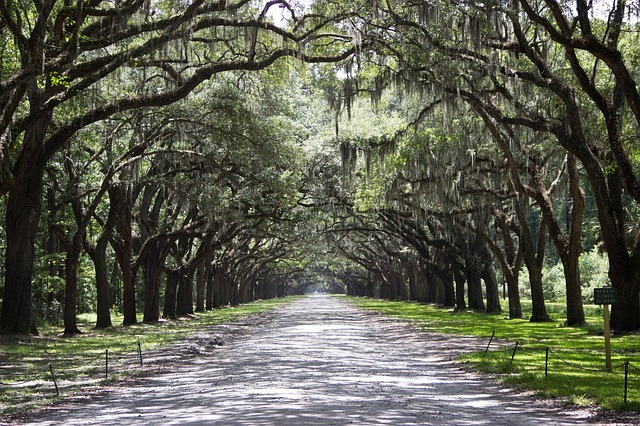 Savannah is Georgia’s oldest city and its cobblestone streets, historic buildings, museums, riverfront, and parks make it a charming place to visit. Stay in a bed & breakfast to get the true feeling of the city. And, make sure to spend a day at the beach on Tybee Island, just 30 minutes away from Savannah. You can kayak, bike, and even camp on the island. The best food in the world, a culture that is like none other, exciting nightlife, wonderful music, it really doesn’t get better than in New Orleans. New Orleans is definitely one of my favorite places to visit in the USA. There are fun festivals all year-long, plenty of food tours to make sure you don’t miss the best food, streetcars, and the charming French Quarter to visit. 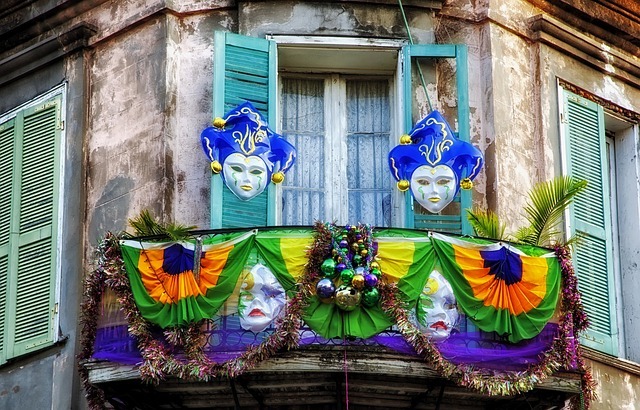 You won’t be bored in New Orleans, that’s for sure! 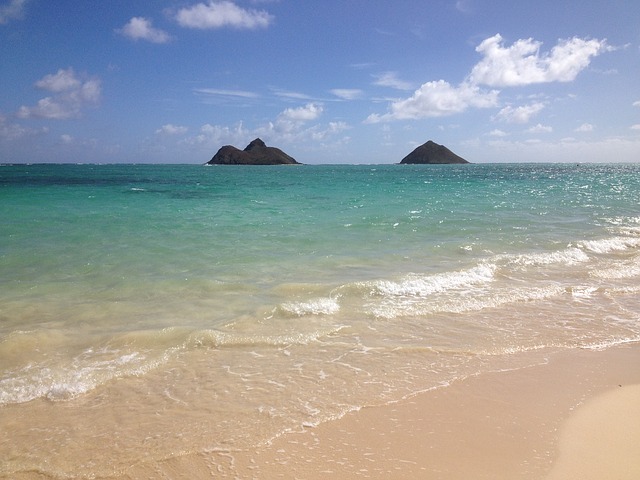 I love all the islands of Hawaii, so if you can, visit them all! But, for a combination of gorgeous beaches, mountain hikes, shopping, art, the Chinatown culture, and a view of Hawaii’s history at Iolani Palace, I would recommend visiting Oahu. Oahu has many incredible chefs, so don’t miss out on trying the island ingredients and regional food of Hawaii while you are there. A lot of people go to New York and explore Manhattan, but they forget about Brooklyn, except maybe to walk across its bridge. A lot of the restaurants in Brooklyn have outdoor space, so if you are there when the weather is nice, it’s great to dine outside. Don’t miss the Brooklyn Museum and Coney Island while you are there. 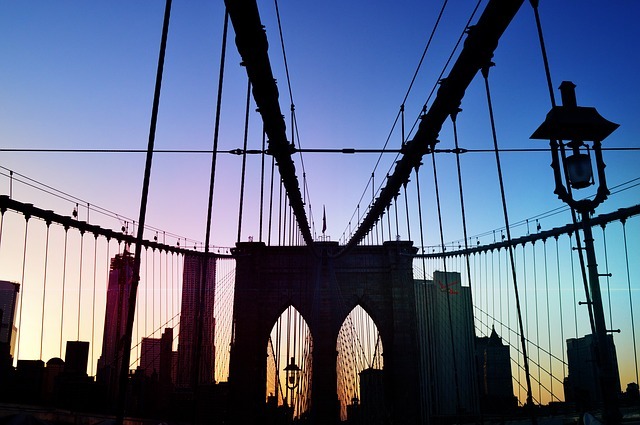 There are lots of great restaurants, live music, and artists in Brooklyn, all the things that make a place great. 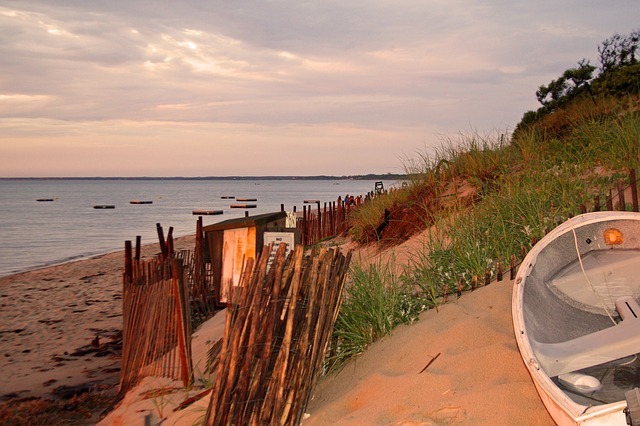 If your idea of a getaway is towering sand dunes meeting crashing waves with lovely harbors and lighthouses thrown in, then go to Cape Cod. Go biking past cranberry bogs, dine at a chowder shack, explore the beaches, or stroll around on Commercial Street in Provincetown. Don’t miss the antique shops where you will find treasures to last a lifetime. If you are looking for a haven, head to Sedona. Hike or bike among the wonderland of red rock formations and canyons, then unwind at one of the resorts or spas. 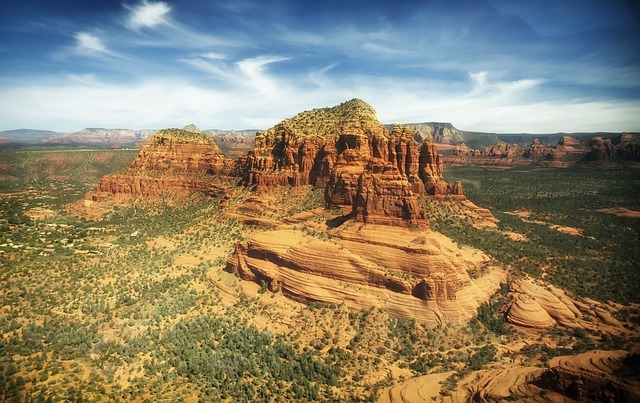 Native Americans consider Sedona a sacred spot, and there are many vortex energy centers for you to experience there. There are incredible vineyards just outside of town for wine lovers to explore. If remote wilderness is your idea of getting away, then majestic Denali National Park is the place for you. 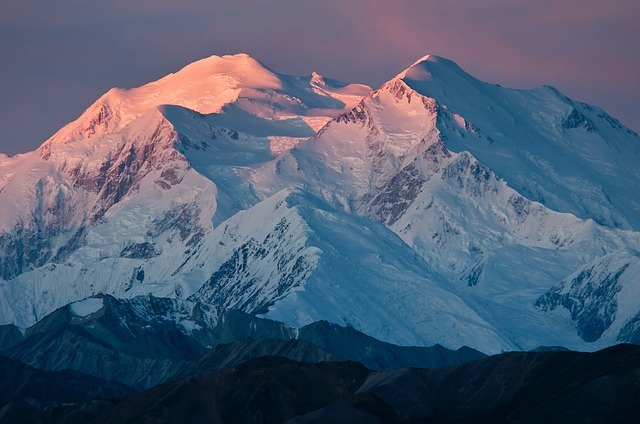 Denali is made up of six million acres of wild land. You will see lots of wild life including grizzlies, caribou, coyote, and mountain goats. There is a train that goes through the park with vista dome roofs, or you can ride the bus along Denali Park road. You can even fly your own plane into the park, or take a helicopter ride and land on a glacier. There are a lot of amazing National Parks and places to visit. It was hard to stop at 10! Pretty awesome places listed above.! and Brecht, even me planning to visit the US, this will be my first visit. hope so, I cover up the places listed above. These are such beautiful photos! I especially love the one of Cannon Beach; we really need to take a road trip sometime soon! I used to live an hour away. It’s incredible! Love your list! 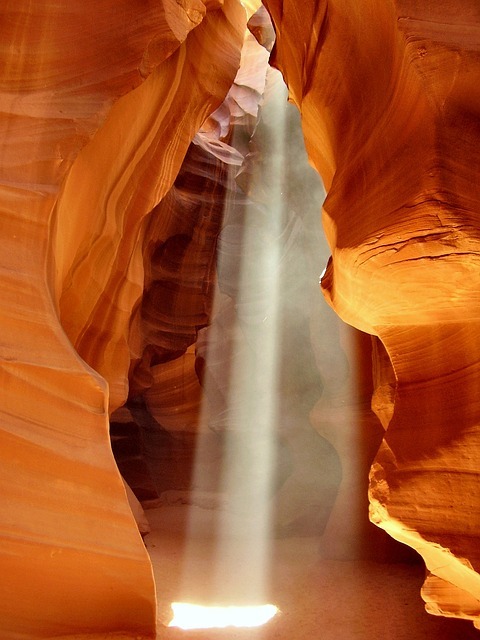 Antelope Canyon is hot on my list…what time of day do you think is best to go (for photos, of course!)? Those are some great places to visit! And also those are some gorgeous photographs! I love antelope canyon and Sedona. Rock formations amaze me…I guess that is how I ended up living in the Red River Gorge of Kentucky. We live in such an amazing country full of breathtaking scenery. Thank you for sharing your favorites.